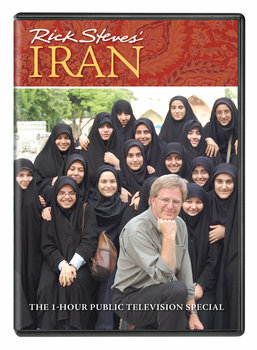 Rick Steves’ Iran: Join Rick as he explores the most surprising and fascinating land he’s ever visited: Iran. In this one-hour, groundbreaking travel special, you’ll discover the splendid monuments of Iran’s rich and glorious past, learn more about the 20th-century story of this perplexing nation, and experience Iranian life today in its historic capital and in a countryside village. Most important, you’ll meet the people of a nation whose government has so exasperated our own. Bonus Features: Rick’s lecture on his personal impressions of Iran, and an interview with Iranian guide Seyed Rahim Bathaei. Learn more: Browse through related articles, photos and more about Iran.